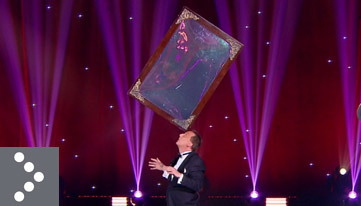 Le Plus Grand Cabaret Du Monde is a French entertainment show series presented by Patrick Sébastien. 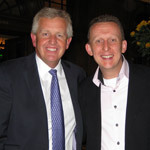 It is broadcast on France 2 on Saturday nights once per month at prime time and has become one of the biggest entertainment shows in the world. 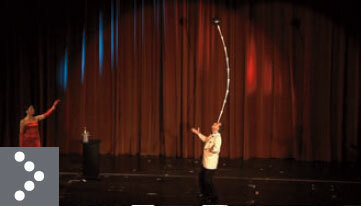 Here you can enjoy the unique performance of the Gentlemanjuggler Jeton from Germany. 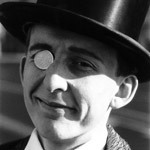 The EJC (European Juggling Convention) is the biggest juggling event in Europe. More than 6000 jugglers from all over the world travel to this festival that takes place in a different country each year. 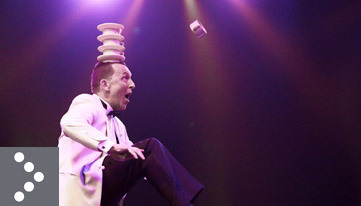 In 2016 EJC was hosted in the Netherland’s and the big gala show is the highlight with the crème de la crème of the juggling world. 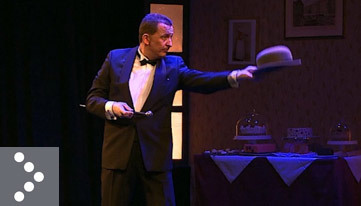 Enjoy the performance of the guest star Monsieur Jeton. 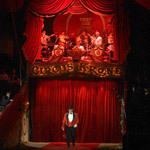 See gentleman juggler Jeton in the spotlight of one of Europe’s best known circuses: Circus Krone in Munich. 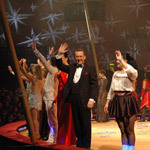 The Winter Programmes in the Krone building are a unique experience for artists and audiences alike, featuring circus arts of the highest standard. 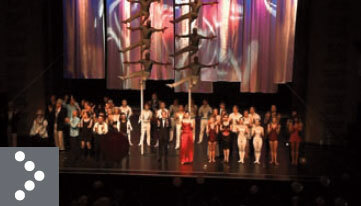 Performing in the "Cascade of Stars" Jeton receives standing ovations. 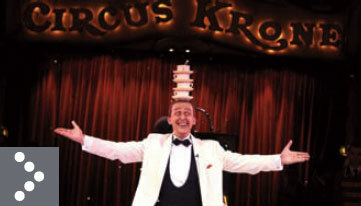 But not only the audience is impressed – the International Jugglers’ Association also considers him worthy of its Award of Excellence, making him the first German juggler ever to receive this coveted prize. 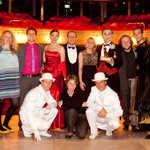 At the 11 Budapest Circus Festival Gentleman Juggler Jeton was awarded the Special Prize presented by the Circus friends association. In the 2 months following the festival, Jeton had the pleasure of performing in "Fesztikon", a show featuring the festival winners. It was a huge challenge to learn Hungarian, but it went down really well with the audience. The regional TV station Hessischer Rundfunk presents one of Germany’s most popular daily magazine programmes, “Maintower”. 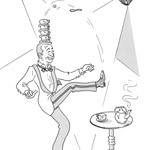 A wonderful report focuses on Gentleman Juggler Jeton. 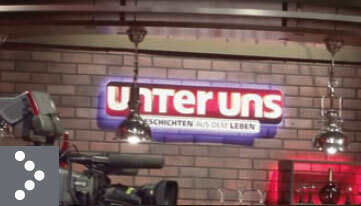 The German regional TV station MDR broadcasts the successful talk show “Unter Uns” (“between you and me”) live from Leipzig’s Media City. Hosts Griseldis Wenner and Axel Bulthaupt interview people with exciting or moving stories to tell. Today they welcome Monsieur Jeton to the studio. 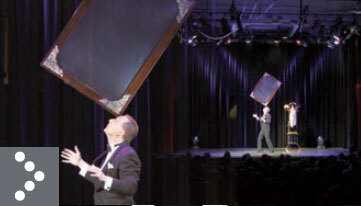 The studio design is a lounge, and as the title suggests, compere Peter Imhof invites celebrity “guests for coffee” – this time it’s Monsieur Jeton, gentleman and juggler. 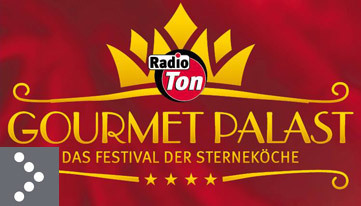 The show is the popular afternoon magazine broadcast live and in HD by the German regional TV station MDR. 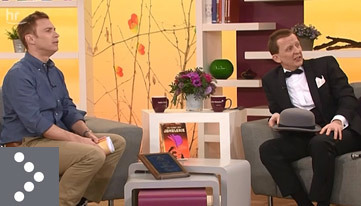 The show “Hallo Hessen” promises an entertaining afternoon, when host Jens Kölker chats to people from Hessen who have or do something special. 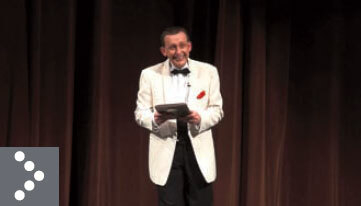 This time his guest is Monsieur Jeton, a gentleman juggler from Hessen who has been a regular on the international variety stage for many years. In the U.S., Gentleman Juggler Jeton receives a very special honour: the International Jugglers’ Association’s Award of Excellence. His acceptance speech gives him the opportunity to express his gratitude to his family and his mentors. 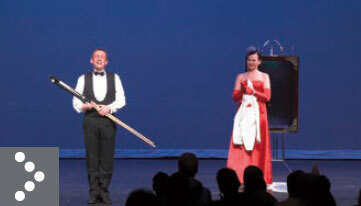 Jeton juggles a cannonball, a champagne bottle and a paper pellet – yet another amazing feat in the gentleman juggler’s repertoire, presented here at the 10th International New Year’s Variety Show in the Dolce Bad Nauheim, a beautiful art nouveau theatre. Celebrating the centenary of the regional utilities provider OVAG and the 10th anniversary edition of the New Year Variety Show in Bad Nauheim’s art nouveau theatre, the witty, elegant Monsieur Jeton played host to the 18,000 people who came to see the 24 performances featuring top-class artists from all over the world.